Earlier this month, I had the rare opportunity to sit down for a chat with Tim Mondavi (the youngest of Robert Mondavi’s sons), as well as Tim’s own son, Carlo. Even more rare, I got to sip Mondavi’s Continuum wine—juice that is firmly outside most people’s wine budget. We sat down at The Copper Onion restaurant and enjoyed sipping and schmoozing while also partaking in some of Chef Ryan Lowder and team’s fine food. First, though, we were treated to a very distinctive Rosé wine, courtesy of Melinda Kearney, who was also at the luncheon. Kearney was involved with Frog’s Leap winery for 20-plus years, and is now making her own wine: a Rosé called Lorenza, which also happens to be the middle name of her fashion-model daughter, Michele Lorenza Ouellet. Michele also graces the label on bottles of Lorenza Rosé. I was able to taste the 2010 Lorenza vintage, as well as the terrific forthcoming 2011 vintage, which should be available for $17.99 in about a month. As Tim Mondavi put it, “This is intentional Rosé.” That is, it’s not merely a byproduct or afterthought of something else. It’s the only wine Kearney makes, and she’s serious about Rosé. You will be, too, when you taste it. It instantly took me back to the wonderful ProvenÃ§al wines I remember from France, although this one is made with gorgeous Lodi fruit. It’s a multilayered, complex (for Rosé), dry wine made with MourvÃ¨dre, Cinsault, Grenache and Carignan. Very versatile, I’d drink it paired with just about anything. It totally rocked Copper Onion’s ricotta dumplings and steamed clams. 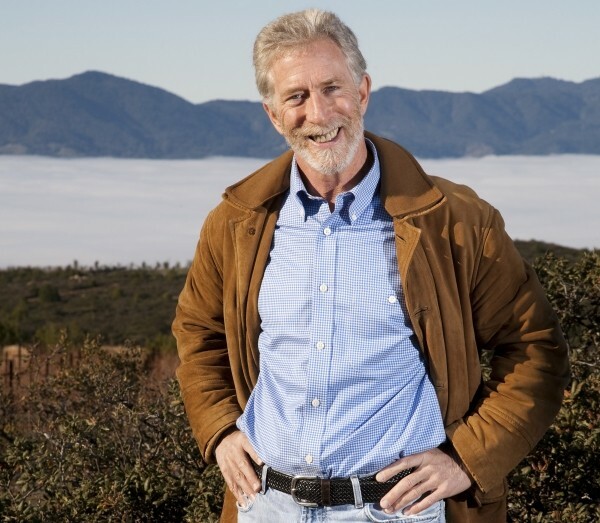 Like Kearney, Tim Mondavi and his family make only one wine (“focus” is a word he uses often). It’s called Continuum, which is a Bordeaux-style blend of Cabernet Sauvignon, Cabernet Franc, Petit Verdot and Merlot. All of Mondavi’s energy and vast knowledge of winemaking goes into this single wine, and it’s spectacular. Of course, it had better be, priced at $150 per bottle for the 2008 vintage (the 2009 is just about to be released). When you think about it, though, that’s a bargain when compared with first-growth Bordeaux wines like Lafite, Margaux, Mouton-Rothschild, Haut Brion, Cheval Blanc and such, which sell for hundreds and even thousands of dollars. “Steal” probably isn’t the word to describe Continuum, but it’s all relative, right? Mondavi speaks often about “clarity of focus,” but the proof is in the pudding. Compared with Robert Mondavi Winery, where Tim Mondavi cut his teeth, the Continuum production is microscopic: 100,000 cases annually for Robert Mondavi Winery, while he only makes 2,200 cases of Continuum, much of it sold practically before it finds its way into bottles. The 62-acre Pritchard Hill vineyard in eastern Napa Valley, where most of the Continuum grapes are grown, is very low-yield, producing terroir-based fruit superbly suited to competing with the boys from Bordeaux. This is very in-focus wine. At lunch, Carlo—who has male-model looks—tells a funny story about a photo shoot on a Long Island, N.Y., beach for Vanity Fair. Famed photographer Bruce Weber talked him into pouring Continuum on his head and down the front of his shirt for the shoot. When I mention that I dig this wine so much I’d have happily licked up the spillage, Tim Mondavi says, “I love this guy!” Well, should you be lucky enough to be in the right place at the right time, like me, you won’t want to waste a drop of Continuum, either. The 2008 vintage is virtually perfect: a gorgeous, sensuous, completely balanced taste of nirvana, and I don’t mean the band.